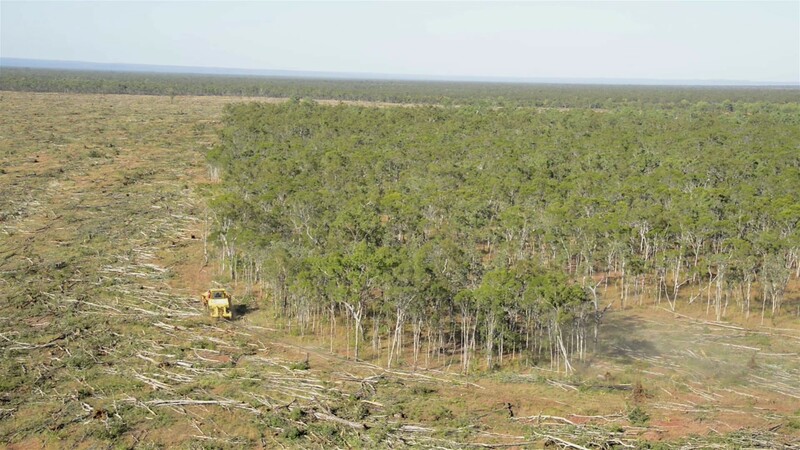 Land clearing in Queensland has increased exponentially as a consequence of the Newman government's rollback of the Vegetation Management Act. The rate, scale and type of broadscale clearing threatens our wildlife, our climate and the reef. A recent analysis by WWF-Australia showed an alarming 211,820 hectares of the bushland cleared in the period between 2012-2014 was habitat where 200 threatened species (139 plants and 61 animals) are known to occur or are likely to occur. This staggering loss included 40,312 hectares of koala habitat – an iconic species recently listed as vulnerable to extinction. Not only has vital habitat for wildlife been irreversibly destroyed, but such a significant spike in clearing has driven up greenhouse gas emissions contributing to dangerous global warming. The Palaszczuk government recently introduced the Vegetation Management (Reinstatement) and Other Legislation Amendment Bill 2016 to parliament which would effectively reinstate provisions as they stood in 2012. These amendments would bring the legislation closer to restoring necessary environmental protections through adequate and reasonable controls on large scale land clearing. It is important to note that these changes will not affect farmers and the many admirable stewards of the land undertaking sustainable agriculture and the like. The Bill has been referred to the Agriculture and Environment Committee for examination with submissions being sought until 25 April 2016. Public hearings will then held to gather more information for the Committee's report which is due by 30 June 2016. Parliament will consider the report, then debate the Bill. It is hoped we will see this important legislation passed by August 2016. But the vote on the Bill in Parliament will be close so strong community support is vital in the coming months to ensure it is passed. Along with our regional conservation colleagues, SCEC is stepping up to end the needlessly destructive broad scale clearing with the Queensland Conservation Council, WWF-Australia, The Wilderness Society, the Environmental Defenders Office Queensland and the wider community who cares deeply about our biodiversity and climate. As long time defenders of Australia's landscapes and rivers, our friends at The Wilderness Society has provided this helpful information. EDO Qld – in association with WWF-Australia, The Wilderness Society and the Sunshine Coast Environment Council – recently held LawJam’s on vegetation management reforms in Brisbane and the Sunshine Coast. Thank you to those of you who were able to attend the LawJams, we trust you found them interesting and useful. For those who couldn't make it, we understand so we're pleased to provide everyone with this information and opportunity to be involved in this significant issue. Visit, phone or handwrite a short letter to your local State MP and express your support for the Bill. Together we can reinstate strong vegetation protection laws for Queensland. Please have your say before 25 April!